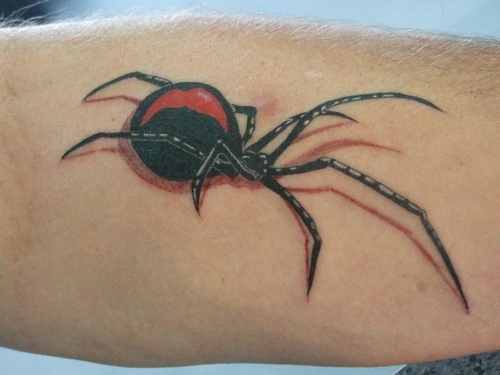 Spider tattoos are associated with both good and bad. 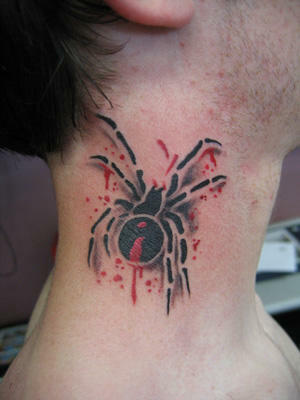 In many cultures spider tattoos indicate ties to the underworld. 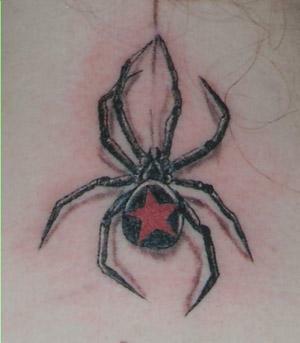 However, given the spider’s far more positive history in many cultures of the world, it can also be a symbol of creativity and wisdom. 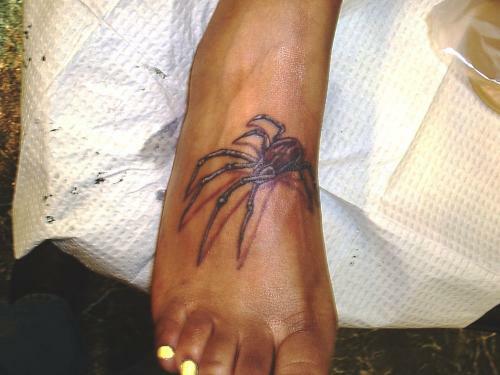 To some, spider tattoos that feature the arachnid sitting placidly in the midst of its web may be a symbol of someone being ‘stuck’ in the midst of addiction. 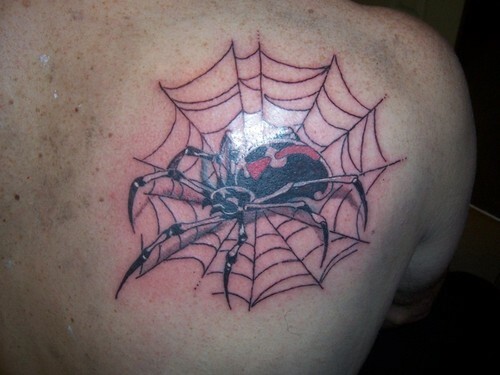 However, the image of a spider weaving its web is not only a symbol of creativity, but also a very unique piece. 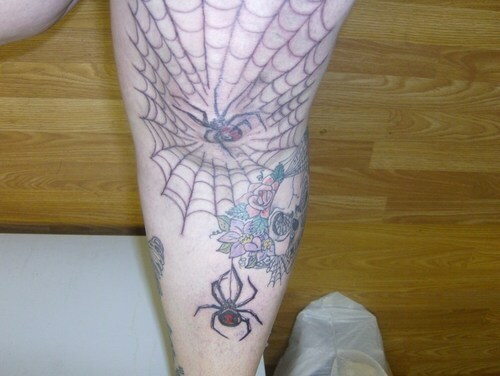 Given the intricate pattern of their webs, you can create a plethora of either jagged, or graceful patterns. 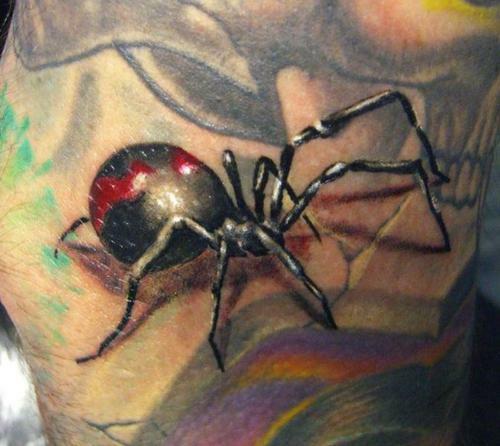 The universal appeal of spider tattoos makes for a vast assortment of ideas when it comes to scenery. 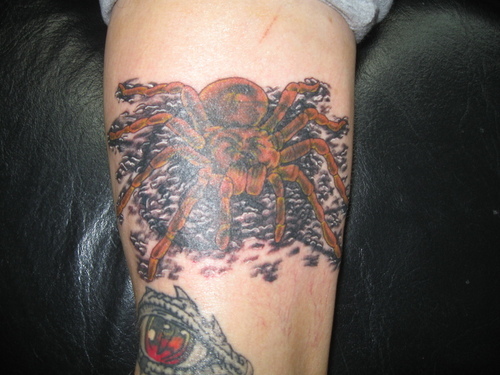 For example, you can create an over sized tarantula attacking a minuscule city for a science fiction-type piece. You can also pull from one of the many tales told of this creature, such as the Native American ‘spider woman.’ She is said to have existed prior to the dawn of human existence, and eventually taught the people of Earth to weave. 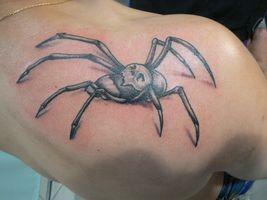 For this, you could show the part spider, part woman standing atop the planet as the sun rises behind her. 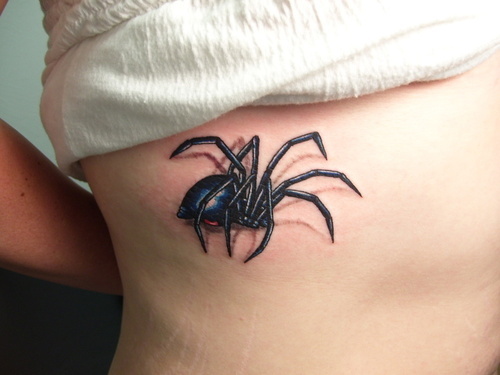 Most spider tattoos are used in a darker way. 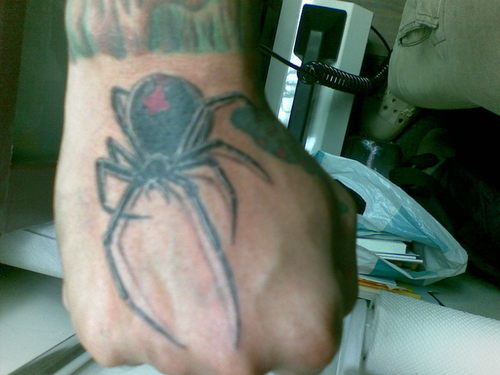 It is not unusual to see a spider with a skull for a head or a gothic cross on its back. Another idea is a crouching spider with excessively long legs; the slightly bent legs may give the appearance of serrated bat wings. 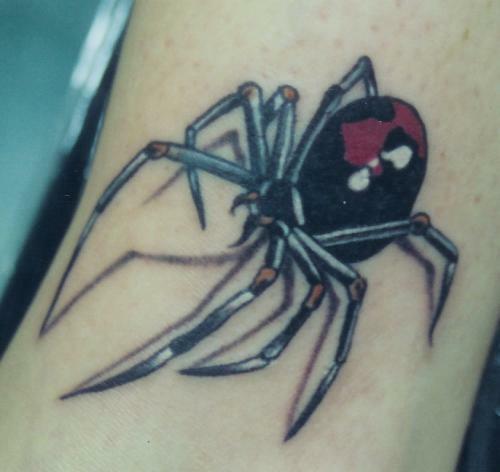 Two other designs for spider tattoos are the alien and steampunk spiders. The alien spider will have a far more modern feel; it is usually depicted in a bright lime green with an unusually large body and fangs. These can also be shown in bright grays or blues to give it a more metallic appearance. The steampunk spider has a more anachronistic quality. This style of spider has extremely long legs that are made of either aged metal or wood, and has a body made of clockwork pieces. The truth is, spiders give a lot of people the creeps. 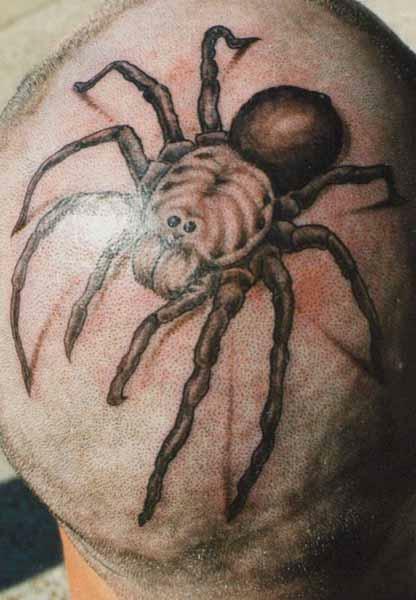 What these people do not realize is that, despite their unusual appearance, spiders have an important role in the world. 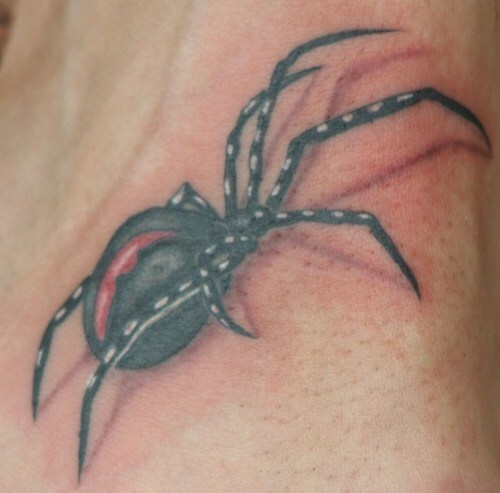 Given their interesting manner, and strong history in folktales from around the world, spider tattoos are an expression of the importance of these creatures, and the beauty they can create.